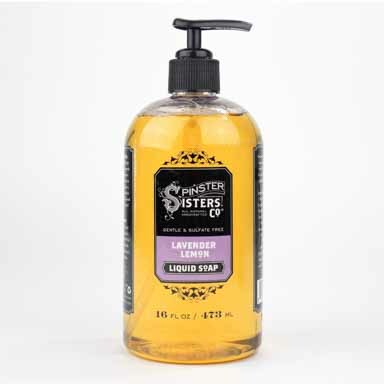 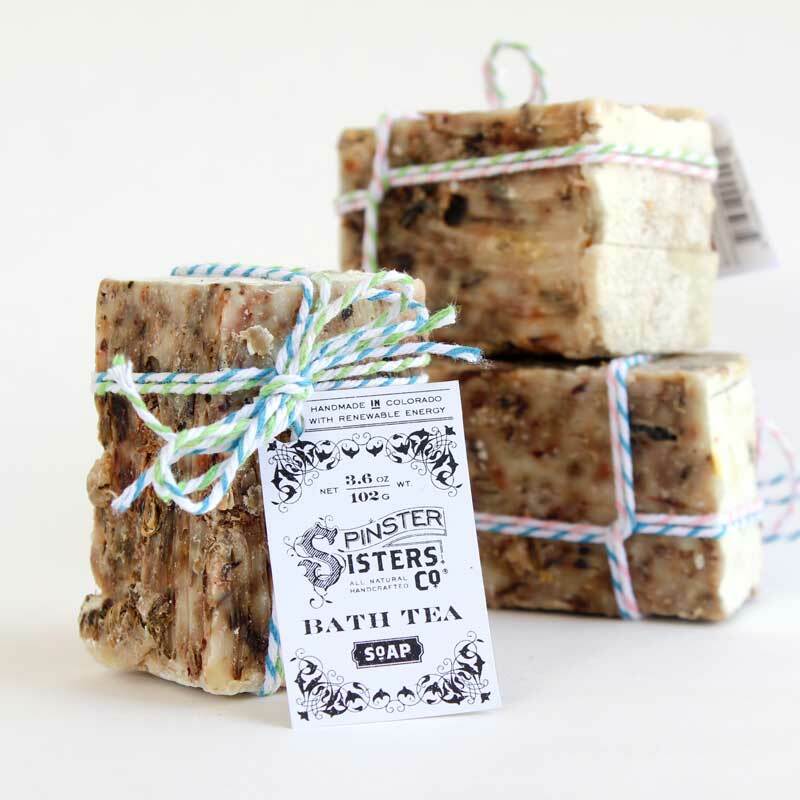 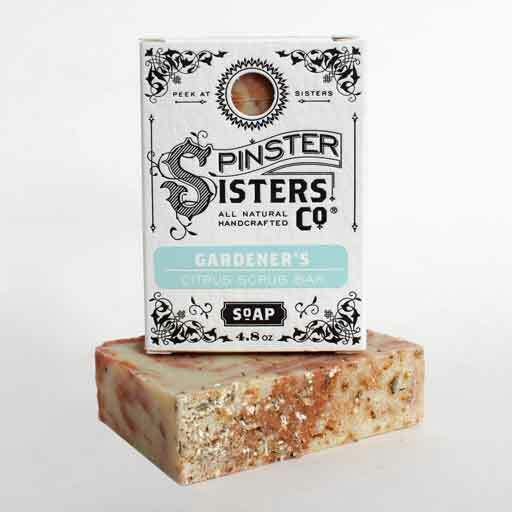 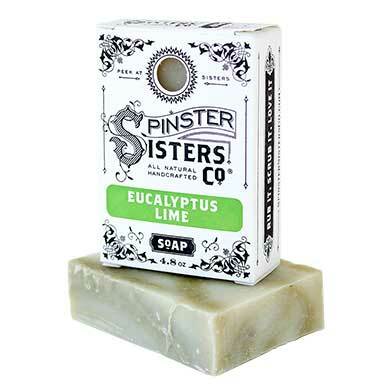 Bath Tea Soap | Soap | Spinster Sisters Co. 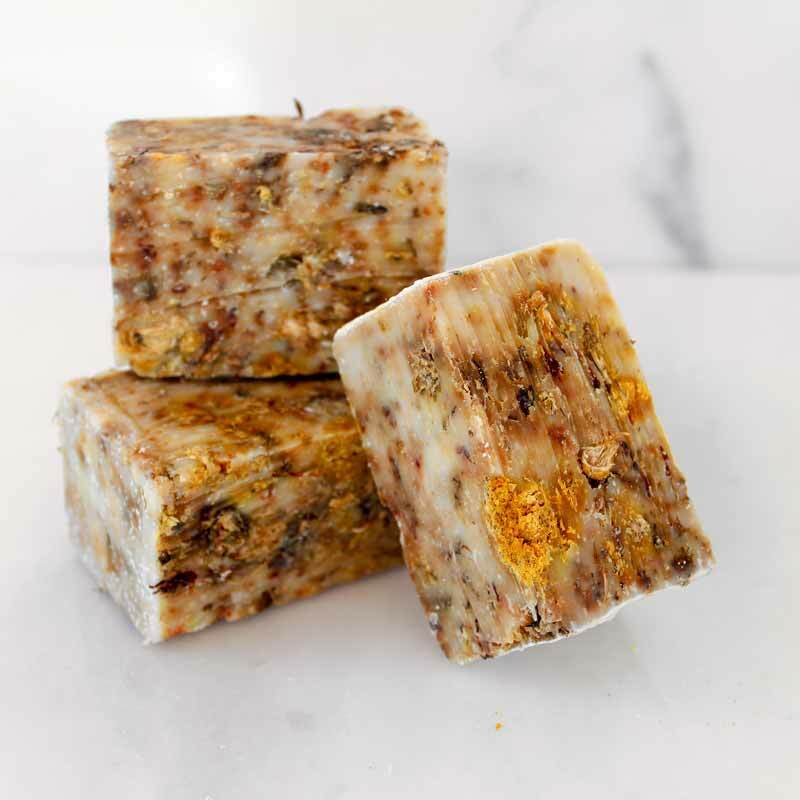 Rejuvenate your skin with our botanical-rich Bath Tea Soap, blended with whole flowers, herbs, and fine sea salt for a nourishing and invigorating lather. 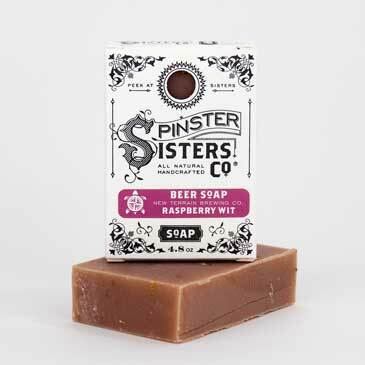 Olea Europaea (Olive) Fruit Oil, Cocos Nucifera (Coconut) Oil, Sustainable Elaeis Guineensis (Palm) Oil, Ricinus Communis (Castor) Seed Oil, Fair-trade Butyrospermum Parkii (Shea Butter) Fruit, Argania Spinosa (Argan) Nut Oil, Prunus Armeniaca (Apricot) Kernel Oil, Theobroma Cacao (Cocoa) Seed Butter, Lavandula Angustifolia (Lavender) Flowers, Rosa Centifolia (Rose) Petals, Centraurea Cyanus (Cornflower) Flower, Sea Salt, Helichrysum Stoechas (Life Everlasting) Flower, and Trifolium Pratense (Red Clover) Flower.